Top row (from left) mark! Lopez, Prafulla Samantara, Rodrigo Tot. Bottom row (from left): Rodriguez Katembo, Wendy Bowman, Uros Macerl. 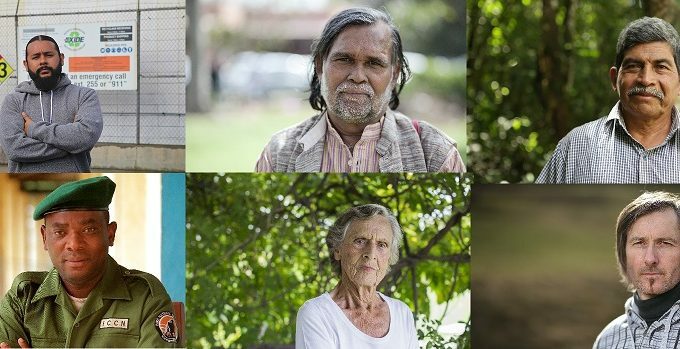 The Goldman Environmental Prize for 2017 — honoring grassroots environmental heroes from the world’s six inhabited continental regions: Africa, Asia, Europe, Islands & Island Nations, North America, and South & Central America– was announced today in San Francisco. On April 26, the six recipients will come to Washington, DC, for a second ceremony. Green News Update has shared an abundance of short pieces and articles about Earth Heroes since 2013 – they make appearances throughout the year, not just during Earth Week. Read a selection of our Earth Hero stories from 2013 through 2015. ← My Earth Hero: Neil DeGrasse Tyson Listen Up!